Some of us are blessed to have careers in fields that we love. Commuting to work is not the stereotypical grind that it seems to be for so many. We are headed to a day full of effort that will yield many rewards. As a photographer, my commute usually starts very early. I am often out of bed several hours before dawn. 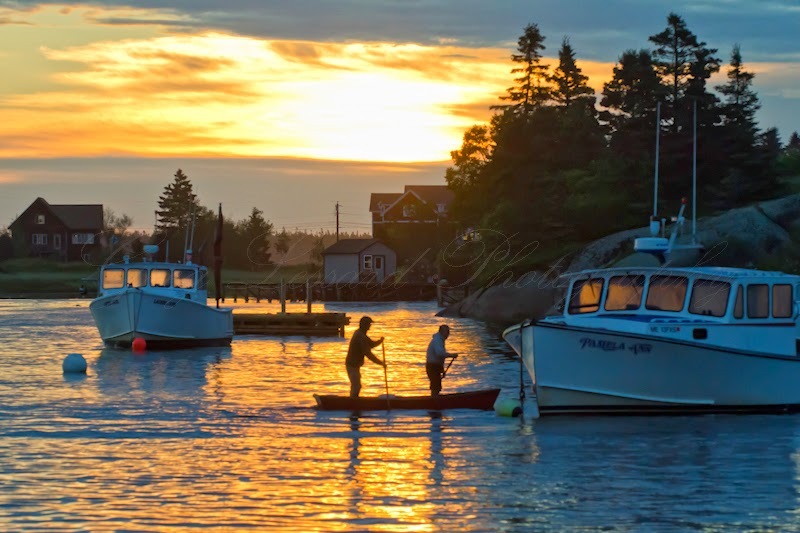 When I am exploring Downeast Maine in the summer, this often means getting up at 3AM to be in place for the earliest sunrise in the United States. In late June, the sun rises in Eastern Maine at approximately 4:48 AM. A good photographer will be on location long before that. Approximately forty five minutes before sunrise is when some of the best light will begin to glow across the sky. Over the next twenty five minutes, the light will intensify until it reaches its peak approximately ten to fifteen minutes before sunrise. Getting to the location often involves driving and sometimes hiking. Careful planning accounts for the length of the commute and leaves a little room for error. Scouting the location in advance is highly recommended. Tramping around in the dark in unfamiliar territory is not safe or easy. There is a confidence that is gained from knowing exactly where you are headed. The image accompanying this article is titled “The Morning Commute”. I was fortunate to be on location in Corea, Maine to witness two fishermen on their morning commute. They were paddling a rowboat through one of the most beautiful harbors in Maine. Their unique method of getting to work certainly caught my attention. The fishermen were making their commute just after sunrise and the harbor was shining with beautiful golden light. I was able to silhouette them in the morning sun as they headed to their lobster boat. In a few moments they were off to sea to check their traps. As they left, I knew that I had witnessed a truly quintessential New England moment. It had been worth it to be up while everyone else was still asleep! Tip of the Month: Get up early to enjoy the best light of the day. The golden hours happen just before and after sunrise. These times are usually the very best time of the day to photograph. The soft, warm, golden light often yields fantastic results. Many photographers are so enraptured by this light, that they will only make images at the fringe of the day. Sue Scheible of the Patriot Ledger wrote a very nice article about my exhibit "The Glory of Massachusetts." It is in today's edition (Saturday, March 15, 2014). Sue visited the exhibit at the South Shore Science Center earlier this week. 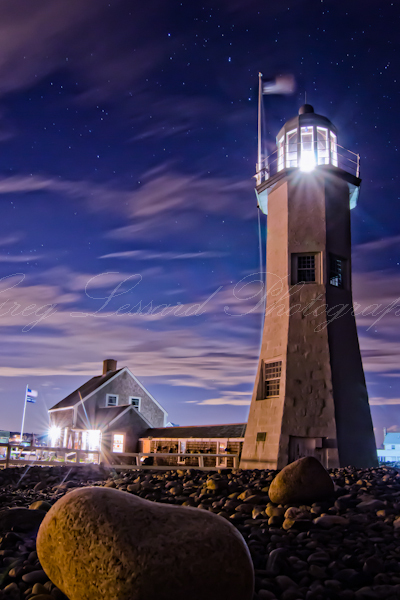 She interviewed me and wrote about my two favorite images of Scituate Light. 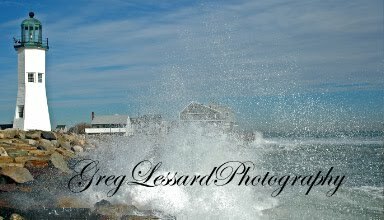 "The Glory of Massachusetts" will be on display until the end of March at the South Shore Science Center in Norwell, MA.